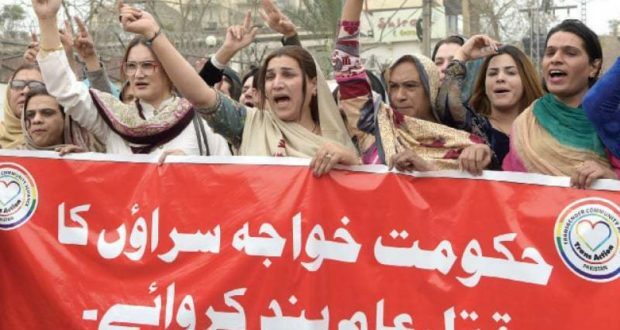 PESHAWAR: Transgender persons demonstrated here on Monday against the killing of a member of their community in Karak and demanded the early arrest of culprits. Holding placards and banners outside the Peshawar Press Club, the protesters criticised the government saying it has failed to protect the life of their community members in the province. Arzu and Arshadi said gunmen killed Jahangir alias Taboo and injured two other transgender persons as they were returning after performing in a musical function in JattaI Smailkhel area of Karak. They said there was a frightening increase in violence and hate crimes against transgender people in Khyber Pakhtunkhwa. “The brutal killing of transgender persons has become a matter of routine in the province. 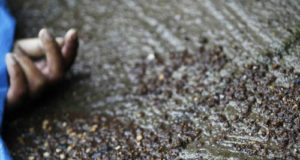 Every so often, we hear such sad news,” Arzu said. Taimor Kamal, a representative of civil society organisations, said 63 transgender persons had been killed across Khyber Pakhtunkhwa since 2015 but ironically, none of the killers had been arrested. He said the government and police had failed to provide transgender persons with security and thus, rendering them vulnerable to violence. Mr Kamal regretted that there existed no legislation for the protection of transgender community in the province, while the law was vague with regard to the lodging of FIR against assailants and their victims’ treatment in hospitals. 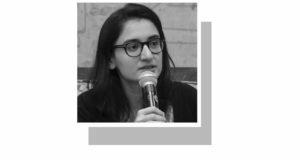 Ms Arzu claimed that when the injured transgender persons were brought to a hospital in Kohat, not a single senior doctor was present on duty prompting their community’s members to protest. She added that a junior doctor showed up afterwards but one of the injured breathed her last. Ms Arzu accused the police of arresting an ‘innocent’ man, who, she claimed, had invited transgender persons to the musical programme. She said the police hadn’t arrested actual killers. The transgender person criticised the government for ‘making false claims’ about the provision of health facilities to the people, especially her community.